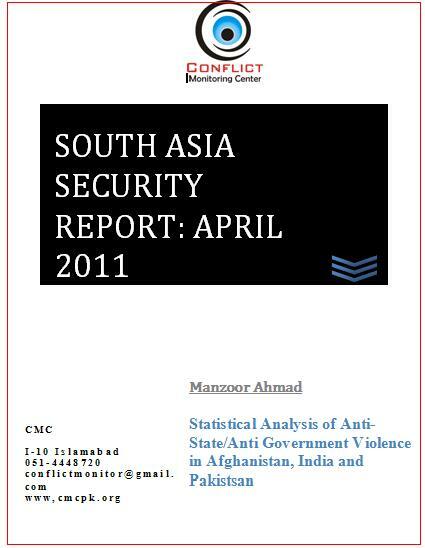 In average, 10 incidents of armed conflicts and 39 resultant deaths were reported in three main South Asian states – Afghanistan, India and Pakistan – on every day of April 2011. 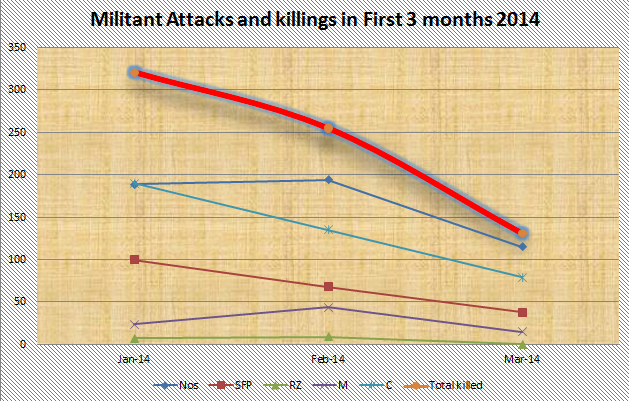 Every fourth victim of violence was a civilian. Afghanistan continued to be worst hit state by violence in the region as about half of the incidents as well as resultant deaths wee reported in the country. 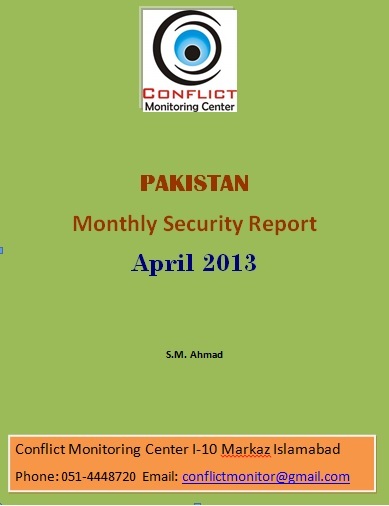 These are the findings of Monthly Security Report of The Conflict Monitoring Center (CMC), an Islamabad based research organization, which focuses on anti-state, anti-government insurgency and counter-militancy campaigns in South Asia. The report is based on the data compiled from mainstream national and international media organizations. The report says that at least 1166 people were killed and 783 others injured in 303 different incidents of armed conflicts in three main South Asian states, i.e. Afghanistan, India and Pakistan during April 2011.